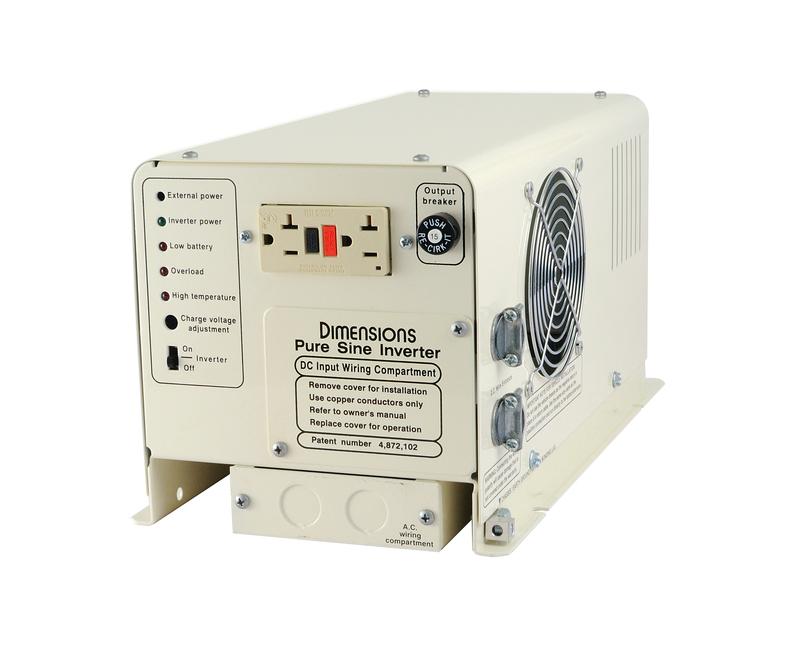 This Dimensions Series Inverter is a low frequency workhorse that will efficiently power any load within its wattage rating. Its massive iron core transformer can handle the frequent power surges associated with industrial grade tools, pumps, heaters, and motors. These Dimensions inverters are UL listed so you can be confident in our consistent quality. We back that assertion up with an unparalleled 4 Year Warranty.